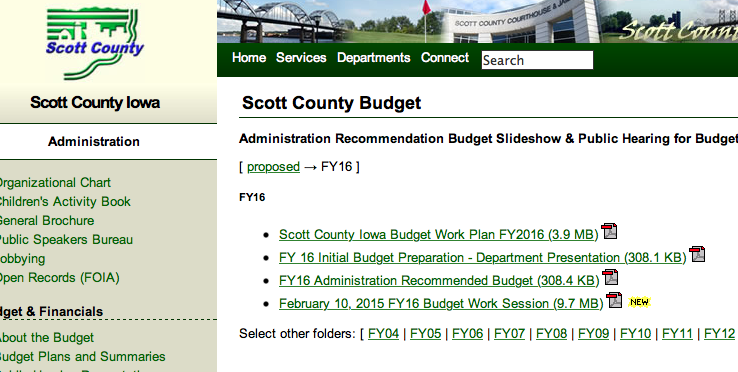 The proposed FY16 budget is $80,775,787, a $1.1 million increase over last year. General fund expenditures will increase $545,858. FY16 taxable valuation is up 1%, with the majority of that increase coming from the residential rollback, state rules increasing the taxable value of residential and agricultural property taxable amount (see my post on the 3% state rollback impact for 2015). The general fund unassigned balance estimate is $9.5 million, or 17.8% of expenditures. $9.4 million is requested for capital projects. Property owners will see a small increase in their tax bills with the levy rate that has be proposed. 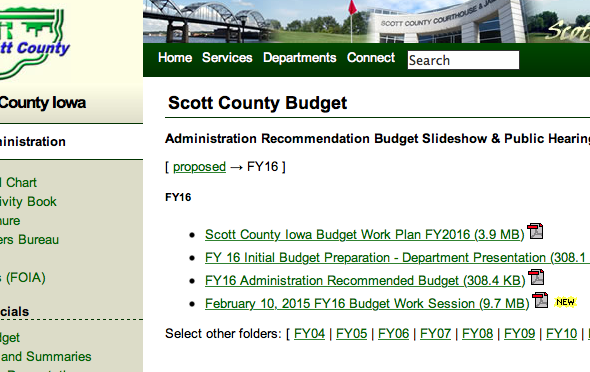 The staff and all departments have put a great deal of work into preparing this balanced budget, and this will be your opportunity to comment on the FY16 County budget. An overview presentation will be given Thursday. 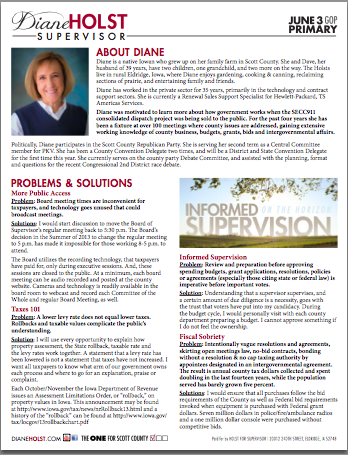 I’ve included links to presentations available at the County website that will give you background on the changes for this year.